Could IBM's Watson Make Attorneys and Experts Obsolete? Could IBM’s Watson Make Experts Obsolete? When IBM’s Watson beat two human challengers to win the TV quiz show Jeopardy!, a collective “Wow!” was heard at just how far artificial intelligence has developed. The show required Watson not merely to answer questions, but to process clues presented in the form of answers and give the correct response in the form of a question, all within milliseconds. Watson barely had a chance to savor its victory before speculators of all sorts began to ask, “What will it do next?” Members of the legal profession were no exception, offering predictions of how Watson could be used for everything from legal research to e-discovery, and even suggesting that Watson’s offspring could someday serve as stand-ins for judges and lawyers. Not only does Watson provide answers but it does so by processing a vast amount of “knowledge” at an amazing speed. In one second, Watson can process information equal to that contained in one million books. More than simply a witness, then, Watson would seem to have the credentials to serve as an expert witness. With its ability to process and master reams of complex information and to answer complex queries in seconds, is it far-fetched to imagine Watson’s now-familiar blue avatar someday sitting on the witness stand? The idea that Watson could someday play a role in the legal system comes not from the lunatic fringe but from IBM’s senior vice president for legal and regulatory affairs, Robert C. Weber. “At IBM, we’re just starting to explore how DeepQA can be harnessed by lawyers,” Weber wrote recently in The National Law Journal. Watson could even have a role to play in the courtroom, Weber suggested. It could serve as a real-time fact checker, providing on-the-spot verification of statements made by witnesses. While Weber did not say that Watson could itself be a witness, he did touch on why it would do well in the role. In a sense, computers are already replacing lawyers. A recent New York Times article caught the attention of many in the legal profession with the headline, “Armies of Expensive Lawyers, Replaced by Cheaper Software.” The article documented the increasing use of artificial intelligence in e-discovery, where software is employed to sift through enormous archives of digital data in search of relevant evidence. Watson as an Expert Witness? Is it only a matter of time, then, before Watson becomes an expert witness? There might also be procedural hurdles to overcome before computers could ever become witnesses in court. To start with, some say, courts would have to amend their rules of procedure to allow non-human witnesses. But would they? On their face, the Federal Rules of Civil Procedure do not specify that a witness at trial must be a human. They do say that a deposition may be taken only of “a person.” But as to trial testimony, the rules refer generically to “witnesses,” with no mention of flesh and bones. Assuming some clever lawyer could convince a judge that Watson met the definition of a witness, the next hurdle would be the need to administer the oath. “Since testifying means 'to bear witness' and solemnly attest as to the truth of a matter, one would imagine computers would first need to reach a point of acknowledged moral capacity or legal responsibility,” says Marc Lauritsen, a lawyer who is CEO of Capstone Practice Systems and author of the 2010 ABA book, The Lawyer’s Guide to Working Smarter with Knowledge Tools. But Lauritsen, who has long studied the use of artificial intelligence in the legal profession, says that the ability of computers to have the requisite capacity “is not far off.” He points to the popular writings of futurist Ray Kurzweil, whose 1998 book, The Age of Spiritual Machines, predicted that computers would someday rival the full range of human intelligence, and whose subsequent book, The Singularity is Near, speculates on the eventual merging of human intelligence and computer technology. Even assuming that one could overcome the legal hurdles to having a computer as an expert witness, there remain other obstacles standing in the way. A very big one would be the cost. Watson is no ordinary computer. If an off-the-shelf laptop attempted to stand in for Watson, it would take at least two hours to answer a question that Watson can field in just seconds, IBM says. As a matter of fact, Watson is actually not even a single computer. Rather, it is a cluster of 90 of IBM’s most powerful servers running a total of 2,880 processor cores and 16 terabytes of RAM. It took a team of 20 IBM engineers more than three years to build Watson, at a cost of many millions of dollars. Apart from prohibitive cost, there is the problem of Watson’s rather one-dimensional personality. Granted, a computer could do a good job of explaining complex scientific and technical concepts. But could it ever do so in a style that jurors would find compelling and engaging? And what about credibility calls? Without personality or emotion, how would judges and juries evaluate conflicts in testimony when opposing Watsons disagree with one another? 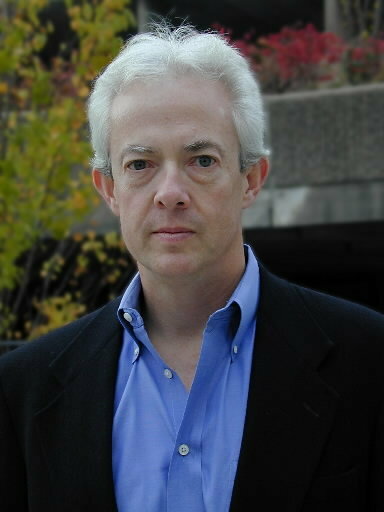 “The possible future situation where one side in a legal trial presents the testimony of Computer A and the other side presents conflicting testimony of Computer B, will not be worse than the present situation where conflicting human experts compete on the basis of appearance, personality, persuasiveness, friendliness and good eye contact,” observes Los Angeles attorney David Phipps. The same can be said about expert witnesses. To paraphrase Weber, no machine could ever match the knowledge and insight of a well-educated and highly experienced expert witness. Of course, humans do have their flaws as witnesses. Their testimony can sometimes be colored by bias or even tainted by dishonesty. At least if computers become witnesses, they could never tell a lie. Right HAL 9000?